Candy corn is one of my favorite fall candies. It’s one of those Halloween treats in which I can’t resist opening the bag as soon as it’s purchased. I go into “Candy Corn Panic” when the fall season is coming to a close knowing that I will have to wait another whole year to enjoy these gems. 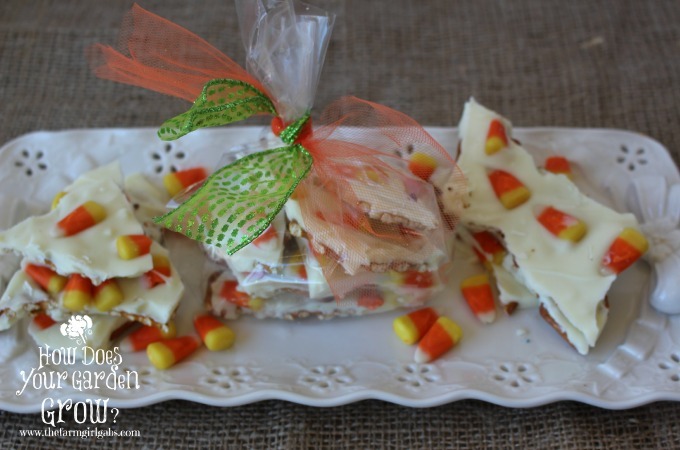 During the fall season, I love to incorporate these festive little candies along with another one of my favorite candy delights….pretzel bark. 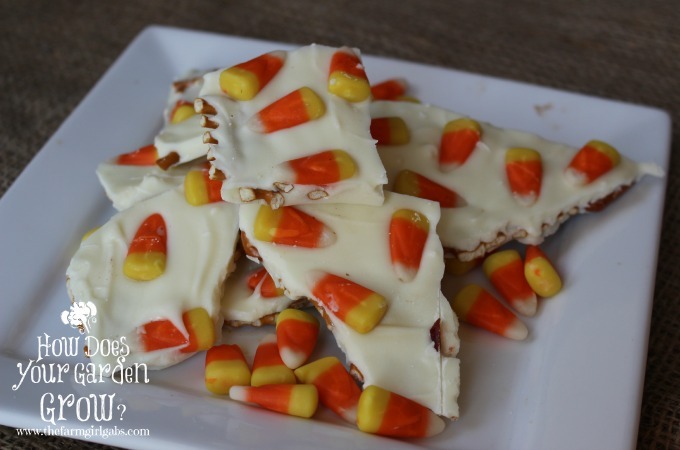 Candy Corn Pretzel Bark is an easy and fun candy treat to make! You may have seen different versions of bark on Pinterest. I can’t take credit for inventing it but I am going to share with you my Halloween version. Warning (cue flashing lights and sirens)….it is addictive! I love to bake, but my candy making skills are not, shall we say, great! Pretzel bark pretty much is about all I can make in the candy department. It is so easy and so versatile to make. Pretzels covered in white chocolate, and topped with candy corn…what’s not to love??!! These treats are perfect for a Halloween party or even an after-school treat for the kids. I love to wrap them up and give them as gifts too. You can even get creative with the ingredients too. 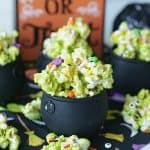 I kept it plain and simple for this post, but try adding Oreo cookies, Halloween sprinkles and even your favorite chocolate candy bar chopped up. Any way you choose to make it, it is yummy! I recently wrote a Guest Post for Central Avenue Chrysler Jeep. If you click on this link, it will take you to the recipe. Happy Halloween! 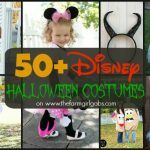 Do you have your costume ready? This looks great! So festive! Yes, bark is definitely addictive! I’ve never gotten into making candy besides the bark. Too much worrying about the right temperature. How festive! Perfect time for this Halloween Bark! My son is so into the barks lately that I am making them weekly! Another one to try! Pinned! Oh boy these look yummy, my kids would luv something like this! Gotta try it! I am a little crazy for candy corn too! Can’t wait to try this recipe! 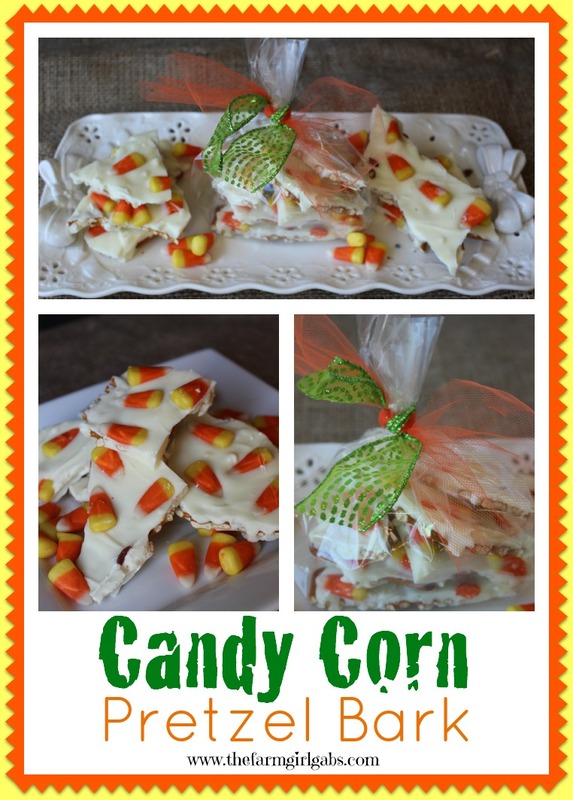 I have pinned several treat recipes this year using candy corn. Hmmmmm. I might need to buy another sack … or two. Wow, candy corn and pretzels..I am getting hungry! Fantastic recipe and one I know my grand kids are going to love. This is amazing!!! Ohhhh my goodness!!! I can’t wait to try it! Thanks for posting this awesome recipe. Yes please! Thanks for linking up at Foodie Fridays. I look forward to seeing you and your posts again this week.